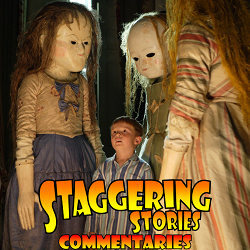 Adam J Purcell, Fake Keith and the Real Keith Dunn sit down, pyjamaed, in front of the 2011 Doctor Who episode, Night Terrors, and spout our usual nonsense! BBC: Doctor Who – Night Terrors. 02:16 — Doctor Who: The Colin Baker elected DWAS Honorary President. 03:27 — Alphas: Syphy gives Alphas a second season. 05:00 — Misfits: ‘Vegas Baby!’ Internet episode now online. 06:06 — Walk for Lis: Ed Russell completes his 168 mile charity walk, in the name of Elisabeth Sladen. 07:46 — Benedict Cumberbatch: A busy fellow! 08:55 — Sparticus: Leading actor Andy Whitfield is dead. 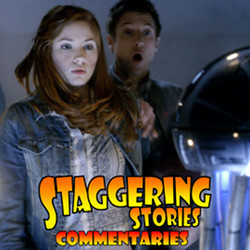 10:09 – Doctor Who: The Girl Who Waited. 24:04 – Doctor Who: The God Complex. 39:00 – Doctor Faustus at the Globe Theatre. 41:23 – Torchwood: Miracle Day episodes 9 and 10. 103:07 – Farewell for this podcast! 103:24 — End theme, disclaimer, copyright, etc. E4: Misfits – Vegas Baby! Just Giving: Ed Russell’s Walk for Lis Sladen. Starz: Sparticus Blood and Sand. BBC: Doctor Who – The Girl Who Waited. BBC: Doctor Who – The God Complex. Adam J Purcell, Fake Keith and the Real Keith Dunn sit down, tessellated, in front of the 2011 Doctor Who episode, Let’s Kill Hitler, and spout our usual nonsense! BBC: Doctor Who – Let’s Kill Hitler. 02:25 — Doctor Who: Another Hugo Award for Steven Moffat. 03:42 — Blade Runner: Ridley Scott to make a new film? 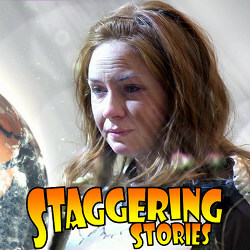 06:21 — Big Finish: Co-Producing a live action short called Cleaning Up. 08:48 — Matt Smith: Karen Gillan is only a 5 out of 10! 10:20 – Doctor Who: Let’s Kill Hitler. 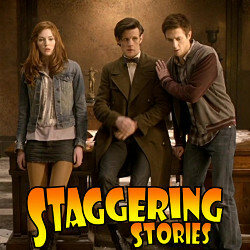 27:06 – Doctor Who: Night Terrors. 41:41 – Torchwood: Miracle Day episodes 7 and 8. 95:02 – Farewell for this podcast! 95:42 — End theme, disclaimer, copyright, etc. Welcome to the fourteenth Doctor Who Podcast Alliance episode. This podcast features a discussion on the state of spoilers around Doctor Who fandom – are they necessary, are they getting any worse and, even, are they really a problem? Also interview snippets from Doctor Who’s Executive Producer Steven Moffat and Doctor Who Magazine’s Editor Tom Spilsbury. We would also like to give a big thank you to Chameleon Circuit (http://www.myspace.com/chameleoncircuitmusic) for the kind permission to include their music.